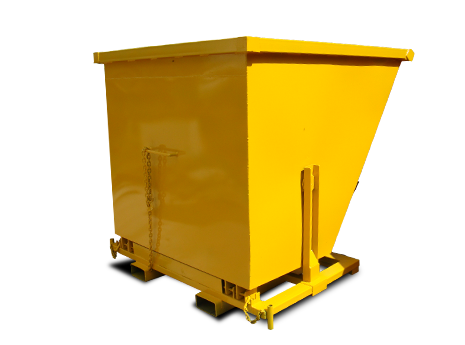 Tippler bins are multipurpose bins and can be used to transfer resources in and around the workplace as well as on construction sites. 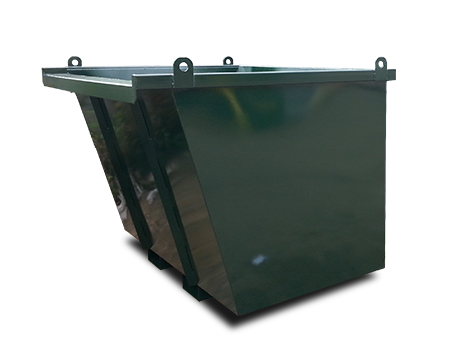 Tippler bins are available in sizes 1.5, 2.5 and 3 cubic metres. They are transported and emptied using standard forklifts. 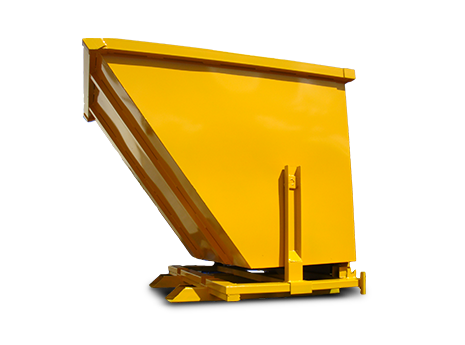 Tippler bins have forklift pockets, hi-tensile chains and a grab hook. These bins are also available with castor wheels if required. All of our tipplers are fully primed and painted in the colours of your choice. 1300 477 000 regarding these tippler bins.